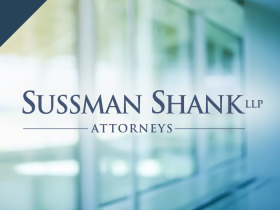 Our attorneys have significant experience in matters involving the First Amendment, anti-SLAPP, and defamation—whether advising or litigating, and whether plaintiff or defendant. Our attorneys working in these subject areas are well-versed in federal constitutional law, as well as the relevant laws of Oregon, Washington, and California. Many businesses and individuals are unfamiliar with the powerful defenses available in opposition to claims based on speech—for libel, slander, defamation, false statements, malicious prosecution or slander of title—including such acts as petitioning government, public recordation, protest activities, submitting public bids or engaging in litigation. As the volume of social, political, consumer and business speech continues to increase—for example, through the proliferation of online reviews—so does the potential for speakers and those spoken about to become embroiled in litigation. We help defendants and plaintiffs to navigate such litigation, as well as to help prevent it before it happens. When we represent corporate and individual defendants, we offer our significant experience with anti-SLAPP motions. Such motions permit defendants to ask the court to dismiss speech-related claims at an early stage and to award those defendants their attorney fees. When such a motion is denied, there generally is an immediate right to appeal. In addition to the examples below, we have represented universities, newspapers, performers, protesters, charities, political groups, startups, media conglomerates, movie studios, production companies and television networks in matters related to speech and expression. We filed an anti-SLAPP motion that persuaded a federal bankruptcy judge to dismiss a $12,000,000 business interference and Oregon racketeering lawsuit that had been filed in response to demand letters that the plaintiff claimed were coercive. Among other things, the judge found that the Noerr-Pennington doctrine, part of the First Amendment to the Federal Constitution, barred the claim. The judge awarded over $80,000 in attorney fees to our client for having to defend against the claim. Our client was awarded its attorney fees when we prevailed on a California anti-SLAPP motion filed in response to a counterclaim. The counterclaimant alleged business interference arising from a settlement agreement between our client and one of its former independent contractors. We disposed of a $300,000 lawsuit filed against a zine author for purported defamation, false light and tortious interference. We represented an individual faced with a $10,000 defamation claim based on statements he made in the course of a public meeting (in this case, a Community Planning Organization that was addressing local land use issues). The Oregon Circuit Court granted our anti-SLAPP motion. Working on contingency, we prevailed on our anti-SLAPP motion on behalf of an employee of the Better Business Bureau who discussed negative reviews of a major auto repair company. That company sued her in Oregon Circuit Court based on purportedly defamatory statements. Other attorneys have retained us to consult on anti-SLAPP matters, both when those attorneys' clients are facing anti-SLAPP motions and when attorneys want to bring them on their clients' behalf. We have represented the plaintiff in a First Amendment retaliation claim against an Oregon municipality and its police chief. We have represented a company in its First Amendment retaliation claim against an Oregon city in connection with the city's non-renewal of a lucrative contract. We have successfully avoided lawsuits by responding forcefully, through citation of relevant speech-related defenses, to demand letters threatening suit for defamation, slander of title or similar claims. We have also sent such demand letters, drawing on our knowledge of the powerful defenses our clients would need to overcome.